Time for me to round up all of my WIPs! Things have been hopping around here since our return from vacation. Uniforms to buy. Uniforms to embroider. School supplies. But I have squeezed a bit here and there. I finished a special bathroom artwork for the little boys. Such a tease, I know...stay tuned for the full pictures this week! I am at the finish line. I was commissioned to make a second charm quilt from the Deb Strain collection. Still love it. 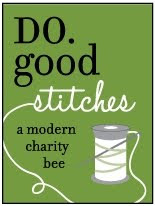 Binding here I come! My long term hexie project doesn't seem terribly long lately. I just have one more blue "diamond" to complete. And then I can take on the large connecting gray diamonds! My aunt is visiting my family next week. My goal is to have this ready for her by then! I had a mess up and added borders without sashing last week and it sorta set me back mentally. 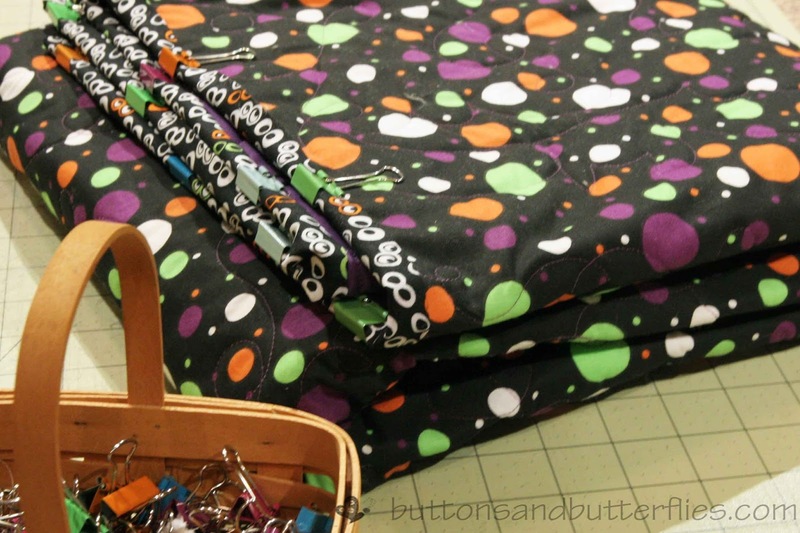 But now I have a new panto for it and am excited to get this on my longarm machine this week. Maybe even tomorrow? 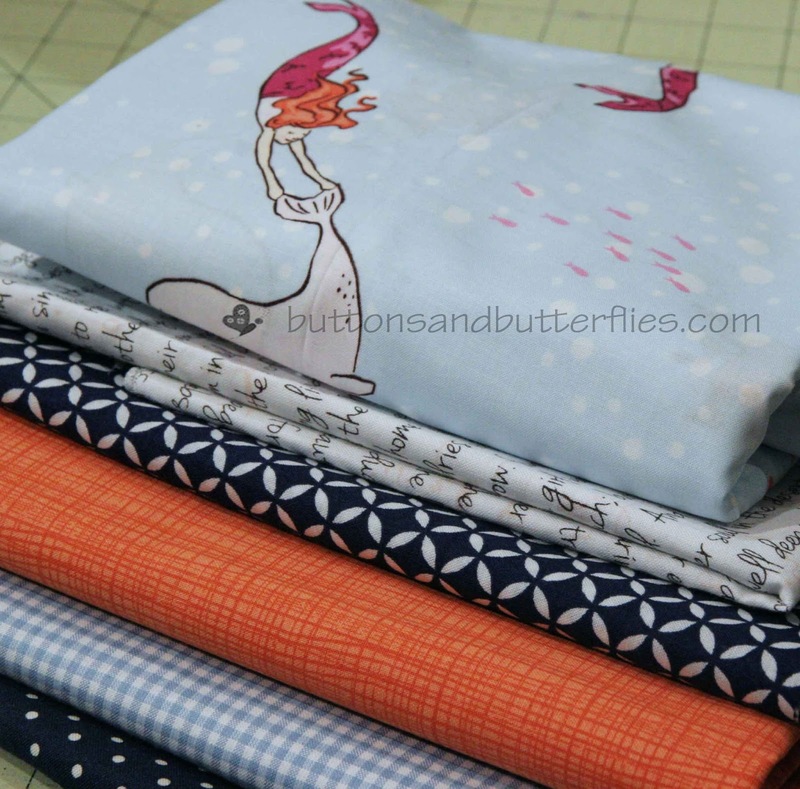 A simple patchwork quilt is planned with this stack of fabrics. It's for a special baby boy. I am using the orange from the mermaid's hair to make a pop! I'm loving your hexies too and your lovely pile of fabric at the end of your post - very nice. Oh, your little crab is gorgeous! and the hexies look nice too! You have a lot of interesting projects going on. 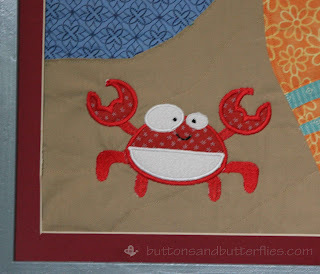 The hexies look great, and that crab is just cute! WOW, so many lovely Projects!!! visiting from WIP Wednesday. 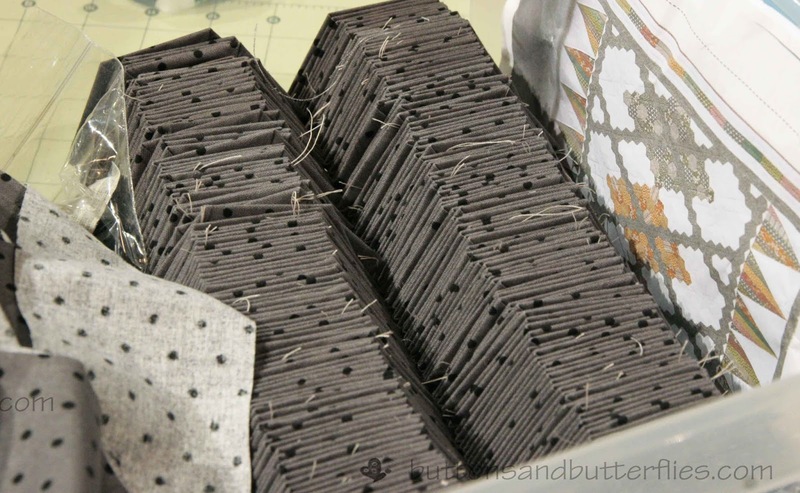 That is a phenomenal amount of hand piecing!!!! Love your WIPs, especially the hexies <3 I think that pop of orange in your fabric pile will be awesome! 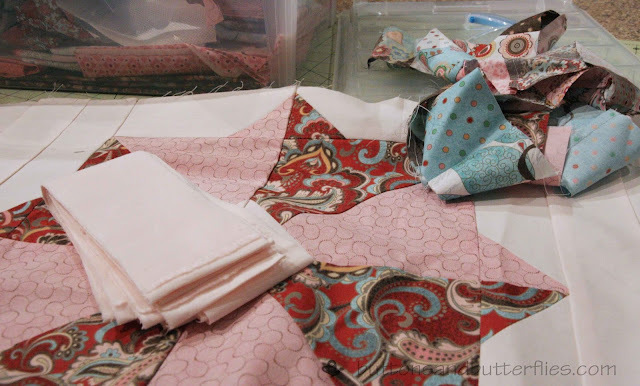 Lovely WIPs - especially digging your hexies and the fabric stack! 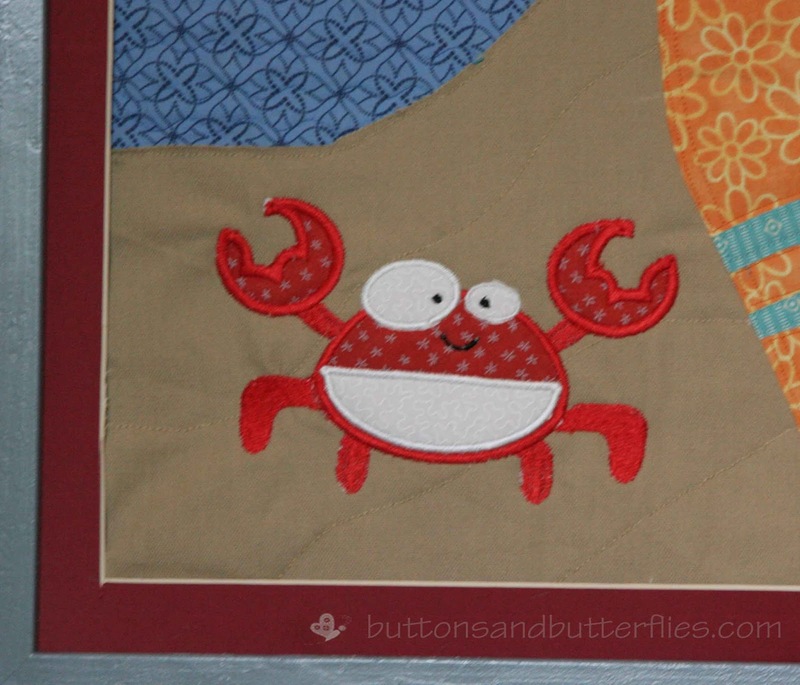 love the hexagons and that crab is so cute! Love the hexies! They are so fun and addictive. 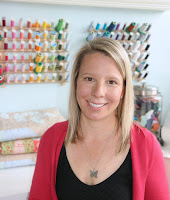 Can't wait to see your blush quilt. I finished one last year and have enough to make something else, but I'm just not sure what yet. 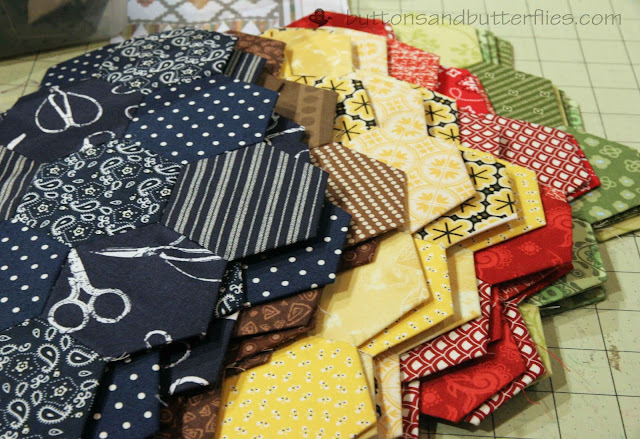 Love the hexies! Now I want to start mine even more. I love the whale song fabric!